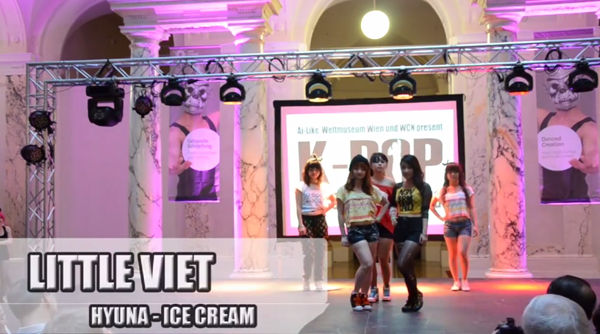 [en] K-Pop Dance Festival Vienna – Official Videos #10: Little Viets! 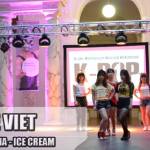 We are back with another issue of the K-Pop Dance Festival Vienna – Official Videos! Did you notice what we were doing in the meanwhile? We have visited the K-Pop Festival in Poland and the K-Pop Cover Dance Festival in the Czech Republic! But today we are going on with Vienna and presenting the 7th last video. In contrast to the last song which was quite “serious”, we decided to bring you something cute and hot at this time! It is a team from Austria that is causing quite a stir. So today we are going to show you the attractive performance of the five-girl group Little Viets. Even though the K-Pop Dance Festival in Vienna on June 1st marked their first official event, they did a great show. They chose the cover dance to the song “Ice Cream” by Hyuna! If you haven’t seen their profile yet, check out their basic data! The sweet girls of Little Viets have a Fanpage on Facebook too! So if you want to know more about them or show them a little support, please check out their page and like it! They are grateful for every support! Video playlist on Ai-Like Entertainment’s YouTube account. 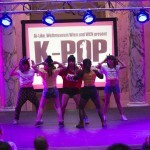 Please enjoy watching the acts who performed at the K-Pop Dance Festival in Vienna 2013 (The event was held in the Weltmuseum Wien on June 1st, 2013). Keep in mind that we will upload the performance videos one after another. prev [en][hu] EXO-MEET H : THE 1ST HUNGARIAN EXO MEET! [en][de] 2012 KBS Gayo Daejun Recap + Performances!